Every five years the Netherlands conducts a study to determine how people die in the Netherlands and whether or not there are concerns with the euthanasia law. The data from the 2015 study concerning ending-of-life decisions in the Netherlands was recently published. In 2015 there were 7254 assisted deaths (6672 euthanasia deaths, 150 assisted suicide deaths, 431 termination of life without request) and 18,213 deaths whereby the medical decisions that were intended to bring about the death. The 2010 Netherlands study of the euthanasia law was published in the Lancet July 11, 2012. Clear abuse of the euthanasia law. According to the Netherlands 2015 official euthanasia report there were 5561 reported assisted deaths in 2015 and yet the data from the study indicates that there were 7254 assisted deaths in 2015. Therefore, there were 1693 unreported assisted deaths (approximately 23%) in 2015. The 431 terminations of life without explicit request had increased from 310 in 2010. Let me make this clear. In almost every country, terminations of life without explicit request are considered homicide. Recently an Ontario nurse was sentenced to 25 years in prison for killing 8 nursing home residents in Southern Ontario. Euthanasia deaths continue to increase. In 2005 there were 2425 assisted deaths (20% were not reported and 550 deaths were without explicit request). In 2010 there were 4050 assisted deaths (23% were not reported and 310 deaths were without explicit request). In 2015 there were 7254 assisted deaths (23% were not reported and 431 deaths were without explicit request). In January 2016, euthanasia was extended to people with severe dementia in the Netherlands. ...in one EAS case, a woman who died by euthanasia was in her 70s without health problems had decided, with her husband, that they would not live without each other. After her husband died, she lived a life described as a "living hell" that was "meaningless." A consultant reported that this woman "did not feel depressed at all. She ate, drank and slept well. She followed the news and undertook activities." In May, the Netherlands euthanasia clinic lethally injected an otherwise healthy woman who was sexually abused as a child. In October, the Netherlands government stated that it was planning to extend euthanasia to people who are not sick or dying but claim to have lived a "completed life." In November, a Dutch journalist reported that he was writing a book about his brother who died by euthanasia based on chronic alcoholism. In January 2017, a Regional euthanasia Review Committee decided that a forced euthanasia on a woman with dementia, where the doctor sedated the woman by putting the drugs in her coffee and then having the family hold her down for the lethal injection, found that the rules were not followed but the euthanasia was done in "good faith." It must be noted that a group of Dutch physicians oppose euthanasia for dementia and the Dutch Medical Association oppose changing the law to permit euthanasia for "completed life." 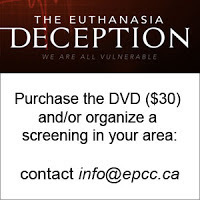 Purchase the Euthanasia Deception documentary and show it in your community. The euthanasia lobby argue that euthanasia should legalized to regulate and control a practice that happens already. They also claim that euthanasia can be controlled and there is no proof that a slippery slope or incremental extensions will occur. 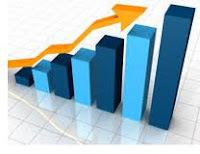 The latest data from the Netherlands proves that, after legalization, covert euthanasia continues to occur, that regulations, such as the requirement to report all assisted deaths, will be ignored and euthanasia will continue to increase and extend to more human conditions. 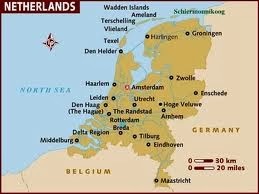 A practical slippery slope exists and the Netherlands experience with euthanasia clearly proves it. Euthanasia pioneer provides new information concerning euthanasia for psychiatric reasons in the Netherlands. Recently, several articles have been published quoting Dutch psychiatrist and euthanasia pioneer, Dr Boudewijn Chabot commenting on the recent developments concerning euthanasia in his country. Articles such as "A Dutch euthanasia pioneer surveys the wreckage and despair" make it sound like Chabot is now critical of euthanasia, but is he? This is not the first time that Chabot appears to be challenging the Dutch euthanasia practice. 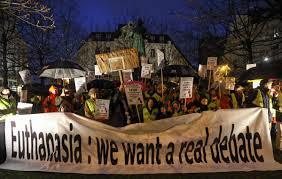 In January 2014 he stated that the Dutch euthanasia law has derailed. We must remember that Chabot was the psychiatrist who opened the door to euthanasia for psychiatric reasons and he is currently involved with a suicide promotion service. When reading his recent commentary it appears that he is saying that euthanasia should not be extended to "completed life" (whatever that means), I suggest that he is actually saying that it is not necessary to extend euthanasia to include "completed life" because these people can avail themselves of his suicide service. After re-reading the text of the Chabot commentary it is my conclusion that his writing is most important because of the new information he provides concerning the practice of euthanasia in the Netherlands. What do I mean by "new information?" The Netherlands euthanasia law has a reporting mechanism that requires the doctor who does the euthanasia death to also be the person to report the euthanasia death. In other words, the euthanasia law requires self-reporting. For this reason we don't actually know what is happening int the Netherlands because people don't self-report acts that are possibly outside of the law or that may cause them problems. Further to that, unless you are a member of a regional euthanasia review committee, such as Professor Theo Boer, or you are given the reports from the euthanasia clinic, you will only have the basic information that is published in the Netherlands annual euthanasia report. Sadly, Canada and Belgium use similar "self-reporting" systems. What information does Chabot provide? In the last ten years, the number of euthanasia reports has increased from two thousand to six thousand per year. People ask for it more often, doctors are more often willing to provide it, and consultants who assist the doctors give more often the green light. In 2016 the review committee found that only 10 of the 6,091 (0.16 percent) cases was done without due care. What does worry me is the increase in the number of times euthanasia was performed on dementia patients, from 12 in 2009 to 141 in 2016, and on chronic psychiatric patients, from 0 to 60. That number is small, one might object. But note the rapid increase of brain diseases such as dementia and chronic psychiatric diseases. More than one hundred thousand patients suffer from these diseases, and their disease can almost never be cured. Particularly in these groups, the financial dismantling of care has affected patients’ quality of life. One can easily predict that all of this could cause a skyrocketing increase in the number of euthanasia cases. Strikingly, doctors from the End of Life Clinic Foundation* are often euthanizing these patients, while as a matter of principle they never treat patients for their illness. By 2015, a quarter of euthanasia cases on demented patients were performed by these doctors; in 2016 it had risen to one third. By 2015, doctors of the End of Life Clinic performed 60 percent of euthanasia cases in chronic psychiatric patients, by 2016 that had increased to 75 percent (46 out of 60 people). For sure, the fact that in 2016 euthanasia has been granted to a total of sixty psychiatric patients is included in the annual report of the review committee. But nowhere in the report is it mentioned that in 46 of these cases, it was a physician at the End of Life Clinic who granted the request. That number you have to dig up from the annual report of the End of Life Clinic. Is this fog purely coincidental? In 2016, the committee found in only one of the 201 cases of euthanasia in dementia and psychiatry that the evaluation had been careless [not in line with due care] because the requirement of “unbearable suffering” had not been met. What problem is this evaluation structure, which costs about four million euros annually, really solving? The researchers fail to answer this question. In that case, a Netherlands Regional Euthanasia Review Committee decided that the forced euthanasia done on a woman with dementia, where the doctor sedated the woman by secretly putting the drugs in her coffee, was done in "good faith." I thank Dr Chabot for sharing new information. 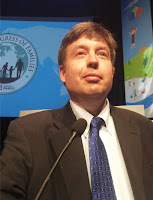 Chabot, in his commentary, is saying that euthanasia for "completed life" is not necessary while promoting his suicide service, nonetheless, after reading his commentary, it is impossible to suggest that euthanasia has not been extended in the Netherlands, and in fact euthanasia is out-of-control. What Boudewijn Chabot teaches us about euthanasia. Dr. Boudewijn Chabot is a retired Dutch psychiatrist and psychotherapist. In 1993 he was charged with having assisted in the suicide of a healthy 50-year-old Dutch woman, Hilly Bosscher, in 1991. Bosscher had lost two sons in the previous five years; six months apart. One had committed suicide; the other had died of cancer. Both were in their early twenties. Her grief did not abate; she wanted to die and to 'to lie in between the graves of her two sons'. 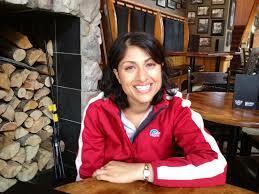 "Dr Chabot, now 53, originally trained as a GP before specialising in psychiatry. It was not until he had spent more than 12 years in psychiatric practice that he decided to see patients who had contacted the Dutch Society for Voluntary Euthanasia (NVVE), desperately wanting to die. He has said that he got in touch with the NVVE in order to 'offer my services in difficult cases'. It had been reported that the organisation was unable to find psychiatrists who did not utterly oppose the patient's wish to die." At that time acts of euthanasia and assisted suicide were not legal but allowed under certain circumstances via court precedents stretching back to 1973 and the Postma case. The "Termination of Life on Request and Assisted Suicide (Review Procedures) Act" would not become law until 2002. Chabot was tried and acquitted in a lower court. The prosecution appealed to the Supreme Court where a guilty verdict was returned but no punishment was applied. Up until this time euthanasia and assisted suicide cases were not considered lawful without the presence of 'unacceptable suffering' that was defined as physical. The standard defence of necessity or 'force majeure' did not apply to Chabot. As Wesley Smith reported, this was a 'show trial' and there was never any intention to punish Chabot but, rather allow the case to set a new legal precedent. Following the Supreme Court decision in November 1993 the Royal Dutch Medical Association (KNMG) amended its 1984 guidelines to include the possibility that there may be cases where 'it is merciful, such as if a patient has serious psychiatric problems and has no prospect of improvement'. "Chabot was put in contact with his patient through the NVVE in the summer of 1991. Two months of intensive consultations followed, during which he tried to find a way into her 'closed world of suicide'. She had planned to take her own life since the death of her second son earlier that year and had bought a plot of four graves, two for her sons, one for herself and another for her estranged husband. A suicide attempt the night of her second son's death failed." Chabot also consulted with other psychiatric professionals; though none reportedly examined the woman. According to Chabot, he suggested that she try anti-depressants, but she refused both the medication and an entrance into a therapeutic community. The Chabot case opened the door to euthanasia and assisted suicide for psychiatric reasons. This is a classic case of 'bracket creep' or incremental extension. The recent interim report of the Victorian Ministerial Advisory Panel notes well that in their consultations there are those who have argued for a different 'starting point' that is much broader in application that parameters suggested by the earlier Parliamentary Committee report. One way or another, such extension is inevitable. But Chabot offers us another consideration both in the 1993 case and his recent lament about the application of the Dutch law published in NRC Handelsblad on June 16, 2017. Chabot is severe in his criticisms of the developments in the application of the Dutch law in recent years. He's not at all concerned about the skyrocketing numbers of deaths ("In the last ten years, the number of euthanasia reports has increased from two thousand to six thousand per year.") but rather the changes that have seen the 'due care criteria' morph in ways that suggest that euthanasia and assisted suicide 'on demand' is now the prevailing paradigm. "To understand what has gone wrong, the reader must know the three most important “due care criteria” of the law. There must be: 1) a voluntary and deliberate request; 2. unbearable suffering without prospect of improvement; 3. No reasonable alternative to euthanasia. "The second and third requirements are closely linked because if another solution, such as specialist palliative care, is indicated, the suffering is not without prospect of improvement. If the patient refuses that option, the physician will not be convinced of the “unbearable” nature of the suffering and will not provide euthanasia. "At least as important is what is not in the law. There is no requirement that the disease has to be physical, and the doctor need not have a treatment relationship with the patient." Chabot's concerns are well founded. They relate to the subjective nature of 'unbearable suffering' and the reality that the term 'no reasonable alternative' has also become entirely subjective. He does not note the irony that this was precisely the situation with Hilly Bosscher more than 30 years ago: there were alternative treatments available that she refused and her suffering was clearly unbearable to her. The Interim Report of the Victorian Ministerial Advisory Panel suggested the possibility that 'final weeks or months of life' could be determined formally as a prognosis of either 6 or 12 months to live. At no time has there been any suggestion that a person who 'qualifies' need to have first exhausted any reasonable treatment options. That stands to reason in as much as no-one can be forced to accept any treatment offered. But I wonder if the public sees it that way. "Once upon a time, moving to a nursing home or receiving treatment with some medication was still considered a “reasonable alternative” for euthanasia. At least it had to be tried. Many doctors now accept that a patient can refuse a reasonable alternative and that this does not create a barrier for euthanasia. That brake has now also disappeared." That description would seem to be the starting point in the proposed Victorian regime. Any thought in the mind of the public that a death by assisted suicide or euthanasia would be a 'last resort' option only, cannot be sustained. "What happens to doctors for whom a deadly injection becomes a monthly routine? They are surely well-intended, but do they also realize how they are fanning a smoldering fire that can become a blaze because they fuel the death wish of vulnerable people who are still trying to live with their disabilities? "The End of Life Clinic is now actively recruiting psychiatrists. It justifies this by pointing to the long waiting list. Their task: relieving the unbearable and unrelievable suffering from psychiatric patients through euthanasia. Every time the Clinic is in the news, a wave of depressed patients whose treatments are allegedly exhausted but many of whom have never been properly treated report to the Clinic. Ever since budget cuts turned chronic psychiatry into a diagnosis-prescription business, good treatment has become scarce. "The newly recruited psychiatrists won’t need to enter into a treatment relation with the patient. The evaluation committee has accepted that in the case of severe physical illnesses. Now it has also applied this to incurable brain diseases—without discussing it with members of the psychiatric profession by the way." Will the same be said of the Victorian regime? Will the role of psychiatry be reduced to a 'diagnosis-prescription' type business where the therapeutic role of the profession is ignored or, at least, only given lip service? That was precisely what occurred during the time that euthanasia was legal in the Northern Territory in the mid-1990s. The Lancet report on the four deaths that occurred under the short-lived regime showed scant regard for the law and the role of the psychiatrist was seen as just another hoop to jump through or tick on a list of checkboxes. "The VIC Branch also notes that, due to the often rapidly changing manifestations of mental illness, proper assessments are best undertaken by clinicians with the benefit of extended interactions over a significant period of time with the individual in question. As such, the views of psychiatrists and/or other mental health professionals with established therapeutic relationships with individuals seeking voluntary assisted dying (sic) should be sought wherever possible." "In situations where a patient has a terminal condition causing enduring and unbearable suffering, there is a risk that symptoms of mental ill health may be mistaken by a doctor not trained in psychiatry for an 'understandable' reaction to their condition. Furthermore, traumatic brain injury, addiction issues, dementia and delirium may all confound assessments of capacity and non-psychiatrically trained doctors 'are not well placed to recognise the presence of these conditions in the medically ill population'." This raises serious questions about the mechanism that supposedly 'protects' people who are vulnerable. If neither of the two assessing doctors suspect a psychiatric issue, nothing more is done. Will the final recommendation due to be made to Premier Daniel Andrews at the end of July include a requirement that a psychiatric evaluation takes place in a therapeutic context? This would imply a relationship over time that seeks a remedy to the presenting psychiatric issues. But time may well be short. Or will this all fall back on self-determination, as it did in the Chabot case, and an acceptance that, even though the patient may have therapeutic options available - both psychiatric and medical - that refusal of any or all treatment is a fast track to suicide? "In psychiatry, an essential limitation disappeared when the existence of a treatment relationship was no longer required." Chabot. The outcome is grave and irreversible. The Andrews government has been talking into an echo chamber, yet most Victorians will likely be unaware of the proposal and even less aware of how any proposed law might operate. The idea that assisted suicide and euthanasia are a 'last-resort-only' option; that people would need to at least try 'reasonable' options, has never really been the case yet is likely to be the general public view. With thanks to Professor Trudo Lemmens for the English translation of the recent Chabot article. Judge: Nurse who killed 8, broke her trust by terminating life. What about euthanasia? Elizabeth Wettlaufer, the nurse who confessed to killing 8 people in Woodstock and London Ontario was sentenced to 25 years without eligibility for parole today. "It is a complete betrayal of trust when a caregiver does not prolong life, but terminates it,"
"She was the shadow of death that passed over them on the night shift where she supervised." I agree with Justice Thomas, but I wonder how Canadians are expected to interpret this statement now that Canada has legalized "MAID" euthanasia? Considering the fact that Wettlaufer was not caught until she told a counselor what she had done. The oversight was so lax that she was able to kill 8 people without being caught. Canada's euthanasia law requires the doctor or the nurse practitioner who causes death by euthanasia send a report to the applicable authorities concerning the act. Since Canada is using a self-reporting system, is it not possible that doctors or nurse practitioners will either not report all of the deaths or hide the fact that some of the deaths were outside of the law? A NEJM study on the practice of euthanasia in the Flanders region of Belgium found that in 2013 1.7% of all deaths (more than 1000 deaths) were assisted deaths without explicit request. A Lancet study analyzing the Netherlands euthanasia experience found that there were 310 hastened deaths without explicit consent in 2010 in the Netherlands. It is not safe to give physicians, or others, the right in law to cause the death of their patients. When a nation legalizes euthanasia, it gives medical professionals, who were already willing to kill their patients the legal right to proceed. 1. Every Canadian Province must do an in-depth investigation into suspicious deaths at hospitals and care institutions or we will never know how many medical killings have happened in Canada. 2. Canadians must go past their fear of dying a bad death and realize that Canada's euthanasia law is fatally flawed. There is no effective oversight of the law while giving physicians and nurse practitioners the right in law to kill you. Ontario judge extends terminal definition for euthanasia to a woman with osteoarthritis. On Tuesday I wrote about Canada's euthanasia law - one year later, showing how the euthanasia law is being extended in Canada at a record pace. In June 2016, Canada's federal government legalized euthanasia (Bill C-14) with imprecise terminology. From my first reading of C-14, I was convinced that the government intentionally used imprecise language to enable the expansion of euthanasia, without facing political pressure from passing a wide-open euthanasia law. For instance, the government claimed to be restricting euthanasia to terminally ill people. C-14 stated that a person's: "natural death must be reasonably foreseeable." The Euthanasia Prevention Coalition urged politicians to amend this definition because it lacked meaning while the euthanasia lobby lobbied politicians to remove this definition because it was "too restrictive." This week, Justice Paul Perrell approved death by lethal injection for a 77 year-old woman with osteoarthritis, (known as AB) since doctors had refused to kill her because she is not terminally ill.
To be reasonably foreseeable, the person’s natural death doesn’t have be imminent or within a specific time frame or be the result of a terminal condition. In other words, people who are not terminally ill are terminally ill. Meanwhile, two people in British Columbia are challenging the "terminal definition" in the law, two people in Montreal are challenging the "terminal definition" in the euthanasia law and Dr. Yves Robert, Secretary of the Collège des médecins du Québec, and a long-time supporter of euthanasia, is questioning the expansion of the law. According to legal experts, the Perrell decision only applies to Ontario. Catherine Frazee: The Nazi Aktion T4 euthanasia program is part of my history as a disabled person. Recently the euthanasia lobby attacked Dr Harvey Schipper for comparing "assisted dying" to the Nazi T-4 euthanasia program. This would not have been a big deal other than that fact that Schipper had been appointed to chair a working group that was to examine Canada's euthanasia law and make recommendations concerning possible extensions to the law. History has a role in the national conversation about medically assisted death, despite protests to the contrary. A respected physician and scholar recently stepped down as chairman of the expert working group appointed to study the issue of advanced directives for medically assisted death. Schipper was repeatedly characterized as “a strident opponent of assisted dying” for reasons having nothing to do with the tone or substance of his argument. What seemed to cause offence and give rise to a condemnation of “strident” opposition was Schipper’s reference to Nazi-era euthanasia. Schipper’s recusal as working group chairman will no doubt be applauded by advocates who seek to broaden the availability of assisted death in Canada. 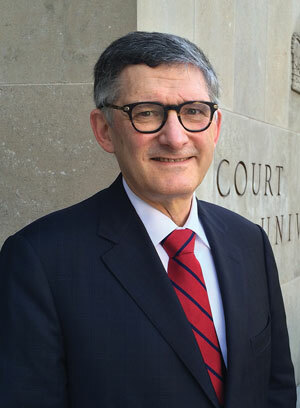 Others, such as myself, who know Schipper to be a man of considerable wisdom and integrity, are saddened that the 43-member panel — which includes expert advocates on both sides of this debate — failed to seize the opportunity to rise above the clamour and reject any suggestion that politics, rather than evidence, would govern their work. Had they spoken out together, and forcefully, in defence of their colleague, the outcome might have been different. This is not the first time that a measured and accurate reference to the historical facts of the Nazi euthanasia program has been condemned as strident, distasteful or offensive. It should be the last. Nothing about medically assisted death is ahistorical. As we review current law and practice, and consider potential expansion to the Criminal Code exemptions that permit Canadian doctors and nurse practitioners to end the lives of certain patients, surely we have the maturity to invite history into the conversation. Doctors, at times, have killed. This is fact. Often, when they have killed or harmed, they have not acted alone, but as agents of state authority. 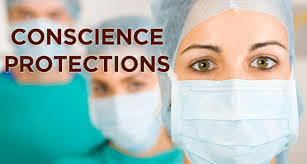 With all of their immense skill and influence, doctors have played indispensable roles in residential schools and asylums in Canada, comfort stations in Southeast Asia, enhanced interrogation facilities at Guantánamo Bay and extermination centres in Nazi Germany. People with disabilities have suffered violence and harm at the hands of doctors, parents and caregivers. Sometimes, as with Satoshi Uematsu in Sagamihara, Japan, the world has instantly recoiled in horror. Sometimes, as with parent Robert Latimer in Saskatchewan, a court of law might ultimately uphold conviction, but not before public opinion solidifies in support of the perpetrator. Sometimes, as with Brandt, a nation colludes. 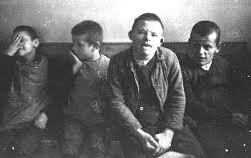 The Nazi Aktion T4 euthanasia program is part of my history as a disabled person. Importantly, it’s also part of Schipper’s history as a physician. Those who would forbid us to speak of this history, or police our speech as strident and unwelcome, can only fuel doubt about whether its lessons have been learned. If our federal government is to benefit from the comprehensive reviews it assigned to the Council of Canadian Academies, and if the council’s working groups are to gather the evidence Canadians require to guide policy decisions about providing medically assisted death to mature minors, to people with mental illness and to people no longer capable of expressing consent, then the history of euthanasia, and questions arising from the darkest corners of that history, must not be out of bounds. Thank you to Catherine Frazee for setting the record straight. There can be dignity in all states of life. Assisted suicide debate masks disability prejudice. Canada's Assisted Dying law - one year later. One year after the legalization of euthanasia and assisted suicide, Canada has become the prime example of how legalizing assisted dying cannot be controlled and why these laws are naturally expansive. Society needs policies that encourage caring and not killing. On June 17, 2016; Canada's Senate passed euthanasia bill (C-14) in time for their summer break. Even though some groups claimed victory based on the amendments to C-14, EPC was concerned by the fact that the most dangerous language in C-14 remained intact. Bill C-14 uses undefined language that (in my opinion) is designed to enable expansion of Canada's euthanasia law. The Euthanasia Prevention Coalition continues to oppose euthanasia. EPC is working with the Compassionate Community Care service that offers advice and direction for family and friends of people who are considering dying by assisted death or people facing difficult end-of-life decisions. Contact CCC at: 1-855-675-8749. More people are dying by euthanasia than projected. Even though we are well into 2017, the data from 2016 indicates that there were 970 reported assisted deaths in Canada. Other than Québec, where there were 463 deaths in the full year, these deaths occurred in 6.5 months (June 17 - Dec 31). The percentage of assisted deaths is highest in British Columbia, where there were 188 assisted deaths, where they have two euthanasia clinics, as compared to 189 assisted deaths in Ontario. The 970 reported assisted deaths represented 0.6% of all deaths in Canada. There may be more assisted deaths. According to the report, not every province has a legal requirement to report assisted deaths while Nunavut and the Yukon territories did not submit information based on privacy concerns and the small number of assisted deaths. A CBC news report (April 20) stated that there were more than 1324 assisted deaths since legalization. 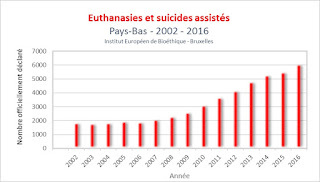 The number of deaths is high in comparison to Belgium where there was 235 reported assisted deaths in its first full year (2003), 349 in its second full year and 393 in its third full year after legalization. Currently Belgium is approximately 1/3 of Canada's population. 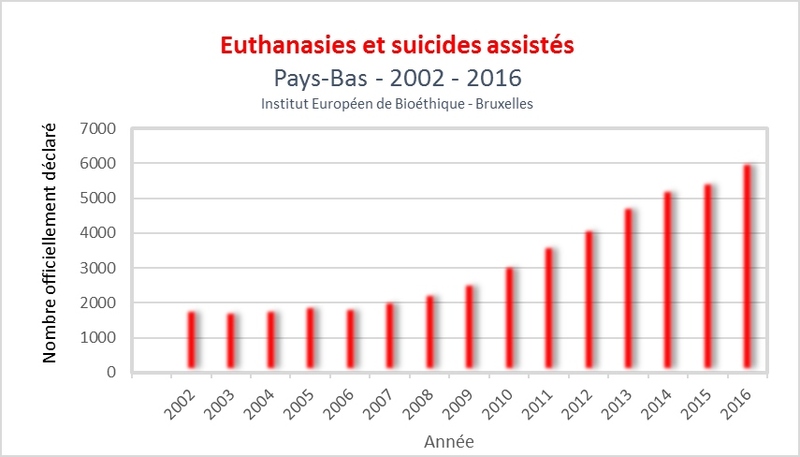 In 2015, there were 2021 reported Belgian assisted deaths, up from 1924 reported assisted deaths in 2014. A study published in the New England Journal of Medicine (March 2015) found that more than 40% of the assisted deaths were not reported in 2013. Conscience rights for medical professionals are not protected. Bill C-14 did not protect conscience rights for medical professionals. The Coalition for HealthCare and Conscience launched a legal challenge to the Ontario College of Physicians policy that forces physicians, who oppose killing, to "effectively refer" their patients to a physician who will kill. Effective referral is defined as referral for the purpose of the act. The court case was heard (June 13 - 15) in an Ontario court. Some physicians will leave Ontario if they are forced to participate in euthanasia. At the same time, the Québec government has pressured palliative care units to participate in euthanasia. Conscience rights are recognized in Canada's Charter of Rights and Freedom but the euthanasia lobby claims that patients have a "right to access" euthanasia and thus claim that conscience rights must be limited. Before the ink was dry, the first court case was launched to expand Bill C-14. Recently two people from Montreal launched a similar court case to expand Canada's euthanasia law to people who are not terminally ill.
Canada's federal government did not waste time to announce that they were conducting research into expanding euthanasia to people with dementia, who stated in their advanced directive that they wanted to die by euthanasia, children, and people with psychological suffering alone. The law requires the physician, or nurse practitioner, who lethally injects their patient to self-report the act. Self-reporting systems enables those who lethally inject their patients in questionable circumstances to cover-up abuse of the law. 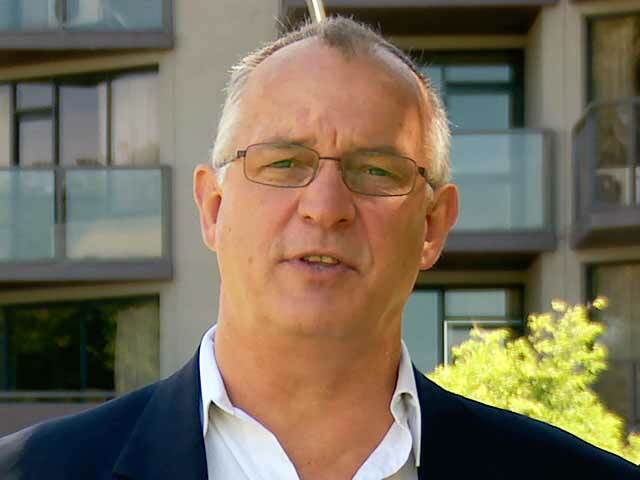 In late September 2016, Dr Will Johnston reported on two British Columbia deaths that appear to abuse the euthanasia law. In November I was contacted by a man who stated that his Aunt, who died by euthanasia, may only have had a bladder infection. Based on the Québec government euthanasia report 14% of the assisted deaths did not comply with the law. Further to that, a Canadian bioethicist is already promoting euthanasia / organ donation, a study was published explaining that up to 138 million dollars can be saved by euthanasia. Once society crosses the line and decides that it is acceptable to kill people, the only remaining question is who will be killed. Meanwhile a Toronto study that was published in the New England Journal of Medicine found that requests for euthanasia were based on existential distress and not uncontrolled pain. The euthanasia debate needs to go beyond theory and buzz words and become based on human reality. People usually ask for euthanasia when they are emotionally and/or psychologically distraught by their medical or personal situation. 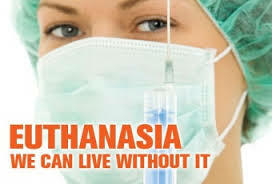 Therefore euthanasia becomes an abandonment of people at the most vulnerable time of their life. The answer to euthanasia is to care for people and not to kill people. Re: When religion must yield to the law, Derek Smith, June 12. Derek Smith claims that rules are essential to prevent religious physicians from harming others. A physician not willing to arrange the killing (MAiD—Medical Assistance in Dying) of a patient is now seen by some as causing harm. While that is debatable in our pluralistic society, what is clear is that the protection of the patient’s life has always been the foundation for the trust in the patient-physician relationship. Groups representing Jews, Muslims, Christians, Sikhs and secular humanists have all said that effective referral isn’t a workable solution for patient access. The College of Physicians and Surgeons of Ontario has helpfully suggested that physicians who cannot adopt their pro-MAiD ethical framework should leave or retrain. Is that a compassionate or creative response to this conundrum? We all are paying for our health system and therefore we all belong. These doctors have been vocal about their willingness to give information and not obstruct patient wishes. Everywhere else has a more respectful system. Why would coercion be part of the equation here in Ontario? Derek Smith mentions frail patients, unable to use a phone to self-refer. I am a doctor with years of home care experience of the most vulnerable. I have met new patients who were isolated, poor, malnourished, in pain, and some suicidal. One can imagine that helping that patient access MAiD would not be anyone’s priority nor would that patient be in a state to choose such a service. For frail and vulnerable patients to live in the community, they need a full care team. Anyone on the care team could help make the phone call. A patient so isolated that they cannot make a phone call is not in need of killing: they are in need of social supports and care so that they may not be alone in their final illness. It is impossible that a patient in such isolation would really have received “adequate palliative care”, and facilitating their death will only result in less motivation to fund and provide the high-quality palliation that our most vulnerable so desperately need. Rather than spending time and resources trying to compel good doctors to lose their integrity or leave the profession, the College of Physicians and Surgeons and the Ministry of Health should be focusing on providing better end-of-life care to all Ontarians. Derek Smith opposes the lawsuit against the College of Physicians and Surgeons of Ontario by doctors who are not willing to send patients to be euthanized. To support his arguments, he creates an imaginary world in which a medical need is being denied to frail people in emergency situations by religious zealots who refuse to do their duty. Medicine is an ancient and universal profession whose purpose is to diagnose, treat and prevent disease, and to relieve symptoms where cure is not possible. Canada is one of a tiny minority of countries that permit doctors to kill patients, an act that remains anathema to the worldwide medical community. Even among supporters of euthanasia there are some who now question the role of medicine in its administration. Consider his imaginary frail patient, wanting euthanasia (as a now-legal personal choice, not a medical need), but unable to use a telephone or a computer to access a centralized referral system. Does that person exist? How does he get groceries or do his banking? If hospitalized, is she not surrounded by a host of other people to whom the request can be made? Is there anyone so isolated they cannot find one person to help them get what they want? What is Dying with Dignity for, if not for that? What “emergency” need for death does he have in mind? * SB 494 died when the House Judiciary Committee closed for the legislative session. Oregon Senate Bill 494 (SB 494) that amends the advanced directive legislation in Oregon passed on June 8 in the Oregon Senate and has now being debated in the Oregon House Judiciary Committee. SB 494 specifically permits the dehydration of people who are not otherwise dying. 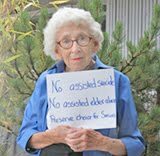 Another Oregon Senate Bill (SB 893) that would have expanded Oregon's assisted suicide law to permit euthanasia (someone else completes the act) died in the Oregon Senate Health Committee. SB 494 appears to simply replace the current advanced directives legislation, but in fact it encourages the withholding or withdrawal of nutrition and hydration (food and water) from people who are incompetent but not otherwise dying. Since SB 893 would have expanded the Oregon assisted suicide act to permit euthanasia of incompetent persons, when the person stated in a valid advanced directive while competent, a wish to die by lethal drugs (completed by another person) and since SB 494 permits death by dehydration of incompetent persons who are not otherwise dying, it is my belief that SB 494 and SB 893 are companion legislation (incremental steps). Since death by dehydration can be a horrific way to die, therefore if SB 494 passes in the Oregon House, it may lead to the approval of euthanasia for incompetent people, since lethal injection is a far less painful way to die than dehydration. Read: Oregon bill would extend assisted suicide to euthanasia of incompetent people. The situation was tense. 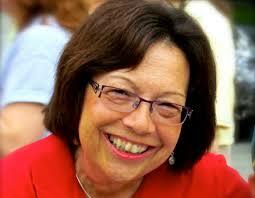 The Maine State Senate had pulled off a stunner by passing assisted suicide bill LD 347 by a vote of 16-15. We were nervous because two years ago, it was the Senate that saved the day by stopping a bill passed by the House. Now we had to place our hopes in the House to prevent a huge win for assisted suicide proponents. Even though Gov. Paul LePage promised to veto any bill coming out of the legislature, assisted suicide proponents would be able to confidently claim victory in the wait for a supportive governor. The entire House took the bill up on May 23, and after a short debate, defeated LD 347 by a vote of 85-61. Relief! 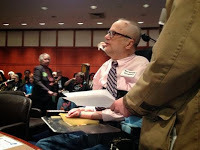 It was especially gratifying because a number of legislators used arguments from Not Dead Yet and Second Thoughts testimonies against assisted suicide to oppose the bill. 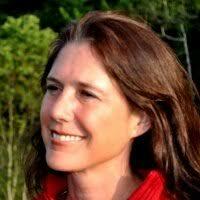 Rep Deborah Sanderson of Chelsea, Maine, used Not Dead Yet and Second Thoughts Massachusetts’ testimony in two separate short speeches, which we have now captioned and put up on YouTube. She stressed two things, the inevitability of misdiagnosis cutting short people’s lives (captioned video here) and the impossibility of knowing whether someone actually self-administered the drugs because no witness is required at the death (captioned video here). Rep Sanderson referred to one of our best examples of how legalized assisted suicide puts people at risk who are not dying. 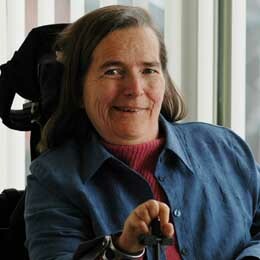 Sanderson did not mention Jeanette Hall by name, but described the letter she wrote to the Boston Globe. Jeanette wrote that she voted for assisted suicide, and when she received her own terminal diagnosis, she asked her doctor for the lethal drugs. But her doctor persuaded her to try more treatment, and Jeanette learned that she wasn’t dying after all! Now more than a decade later, Jeanette urges people to reject assisted suicide. 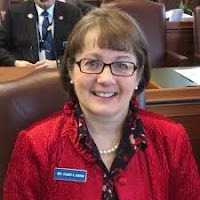 Rep Stacey Guerin of Glenburn, Maine, made two strong arguments against the legalization of assisted suicide. First, it increases opportunities for and the likelihood of elder abuse. She refers directly to Not Dead Yet President and CEO Diane Coleman on the ease with which an abusive caregiver could engineer a suicide. She brought up the inevitability of suicide contagion, as adolescents compare their own troubles to the accepted suicides of older people. Her captioned video is here. “We don’t live in pure isolation. One person’s decision to end their​ life and one legislator’s decision to sanction it would surely impact all of us. It would also send a message that some people are less valued, less worthy. That some lives deserve suicide assistance rather than suicide prevention.” Her captioned video is here. It’s now been 21 years since Not Dead Yet formed to fight Jack Kevorkian and the death machine he used on distraught disabled people, more than half of whom were not terminal in any way. We swarmed the trial that finally put him behind bars. We have gone from being ignored to being quoted during legislative debates. So please keep writing letters, op-ed’s, and testimony – our hard work is paying off!